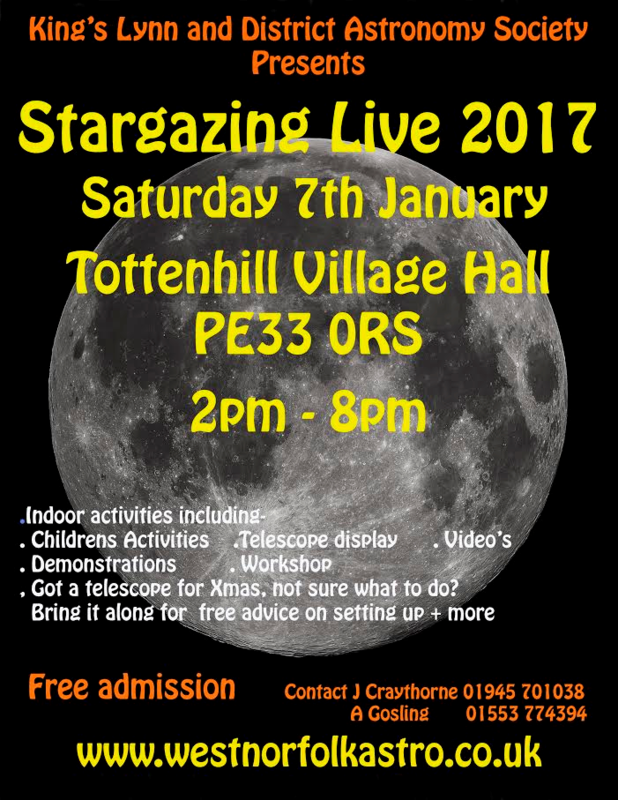 Our annual Stargazing Live event is earlier than usual this year. This means with the possibility of clear skies, we will have a darker and longer time to enjoy the night sky. This is an Outdoor and Indoor event. The chance (weather permitting) to look at some of the wonders of the sky, and indoor activities to please your curiosity. * Short Video Clips of Space Exploration and general Astronomical subjects. Whatever the weather we have it all going on. See you for our 2pm opening on Saturday. Kings Lynn & District Astronomy Society. At dusk, marsh and hen harriers fly in to roost on the reserve. On our exclusive harrier walk you will be able to watch these magnificent birds coming in to spend the night at Titchwell. What a great opportunity to study the roosting behaviours of these amazing raptors! After the sun has set, the Kings Lynn and District Astronomical Society will be setting up their telescopes along the West Bank path. If you’ve never had the chance to study the heavens with expert guidance, now is your chance. Our ‘harriers to the heavens’ events are always very popular so book early to avoid disappointment. Great News! It has been decided by the Society that all First visits by any non members to an Evening talk will now be free. This will allow you to make up your mind if you would like to join the Society. We are excited to offer this opportunity and hope it will help anyone who isn’t quite sure about paying the £5 non member fee for their first visit. It’s only fair we make it as easy and accessible as we can to anyone who is unsure. This offer has now been added to our Membership Fees page, and will continue indefinitely. We look forward to meeting you….